12' x 12' tarp, weighs 4.9 lbs. 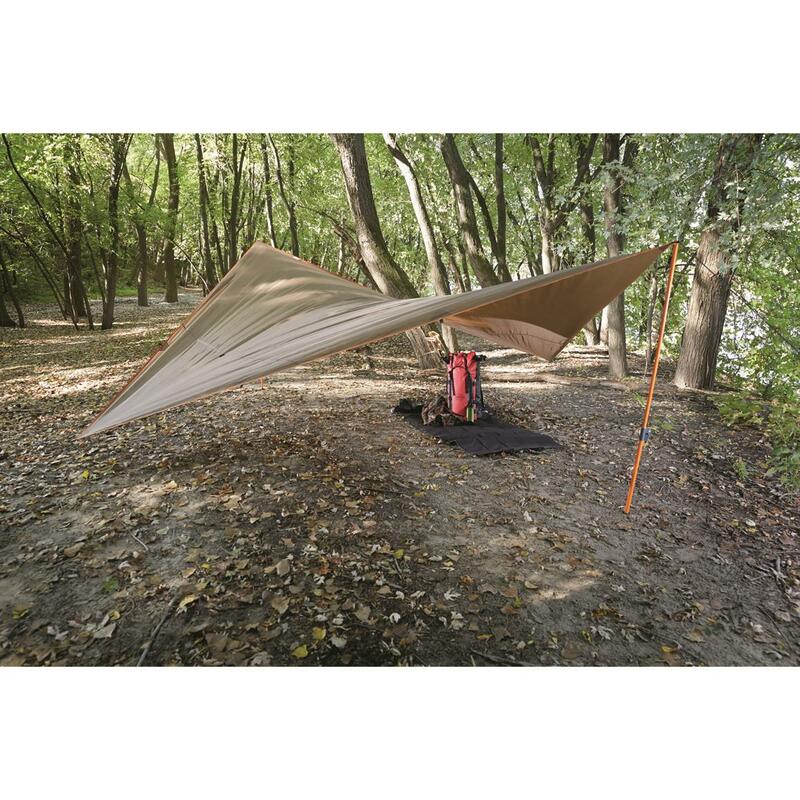 The Guide Gear® multi-use tarp offers versatile setup options in a range of settings. 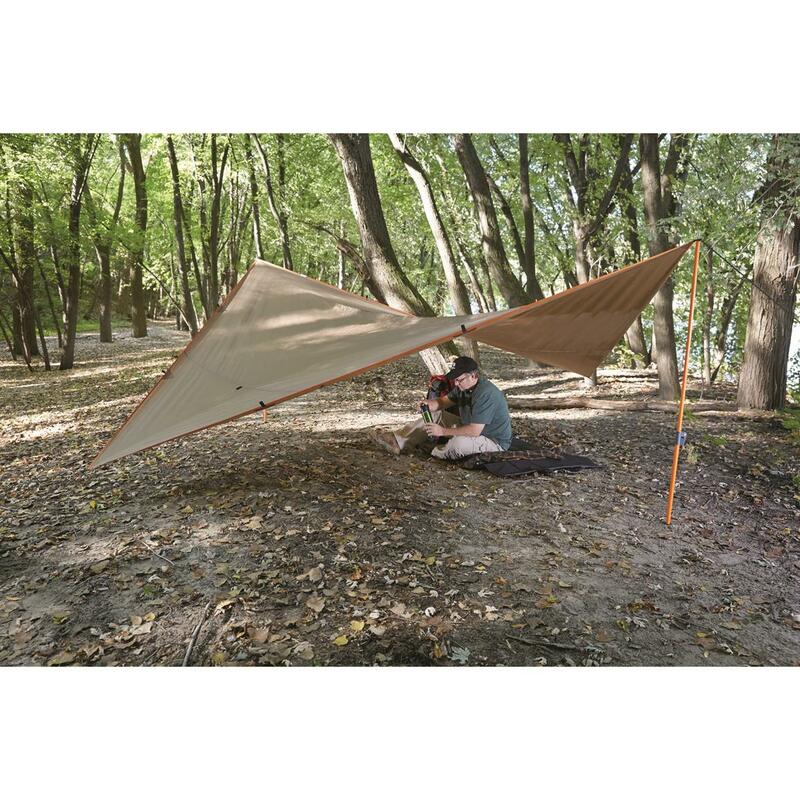 Use it as rain cover for your next hunting trip. Set it up on the sidelines and shield yourself from the sun while watching your kids play soccer. Or pitch it and enjoy an outdoor concert come rain or shine. Setup is simple. 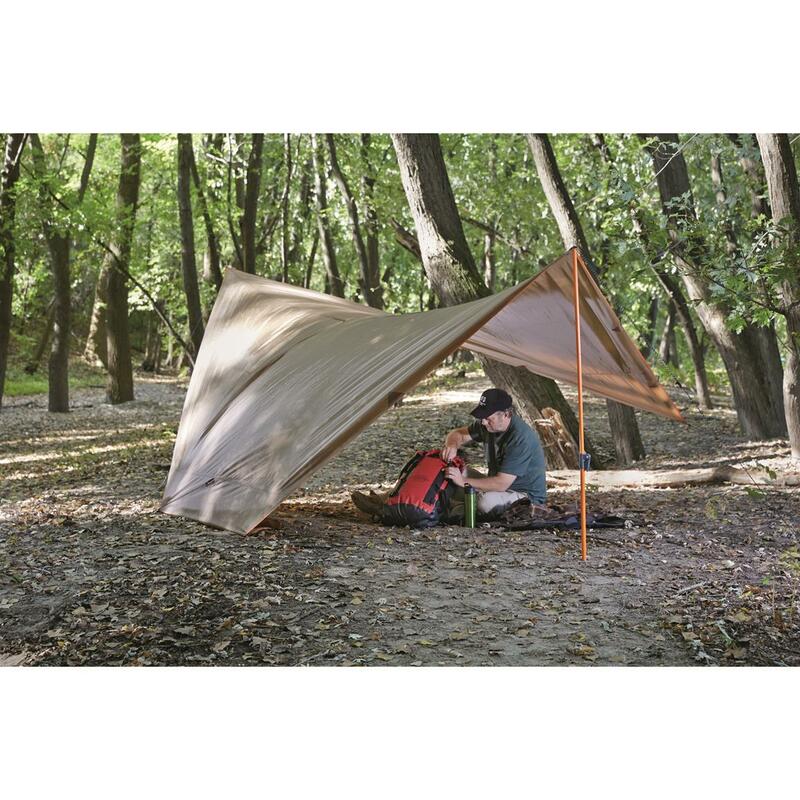 14 guy-out points give you versatile pitch configurations—plus included telescoping poles adjust from 61.8"h. to 81.5"h. No matter what your activity or environment, the Guide Gear® Tarp Shelter will keep you covered. 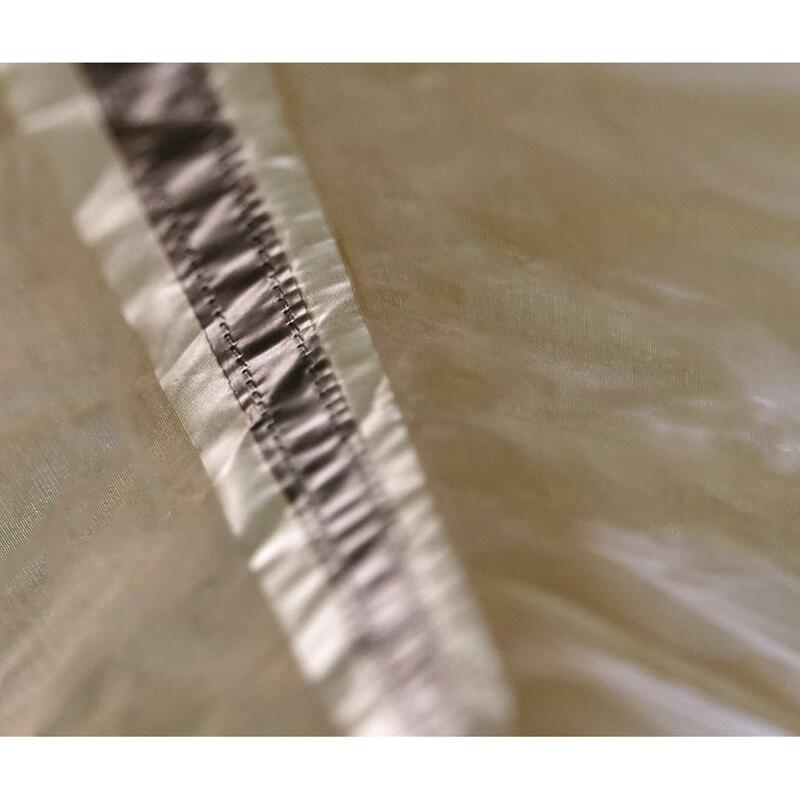 190T polyester fabric and 1,500mm PU coating. 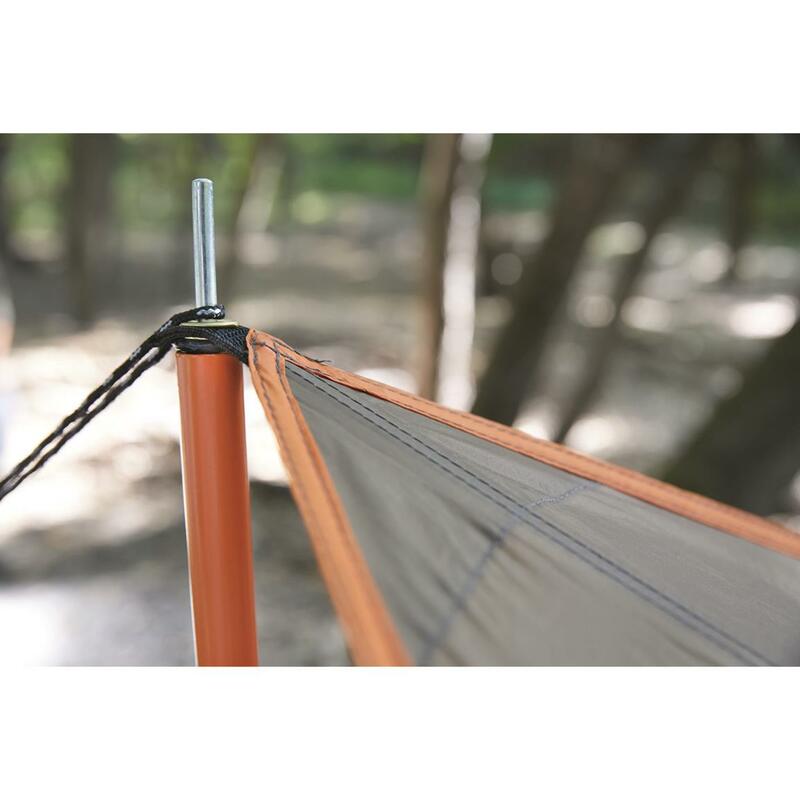 2 telescoping aluminum poles adjust from 61.8"h. to a max. 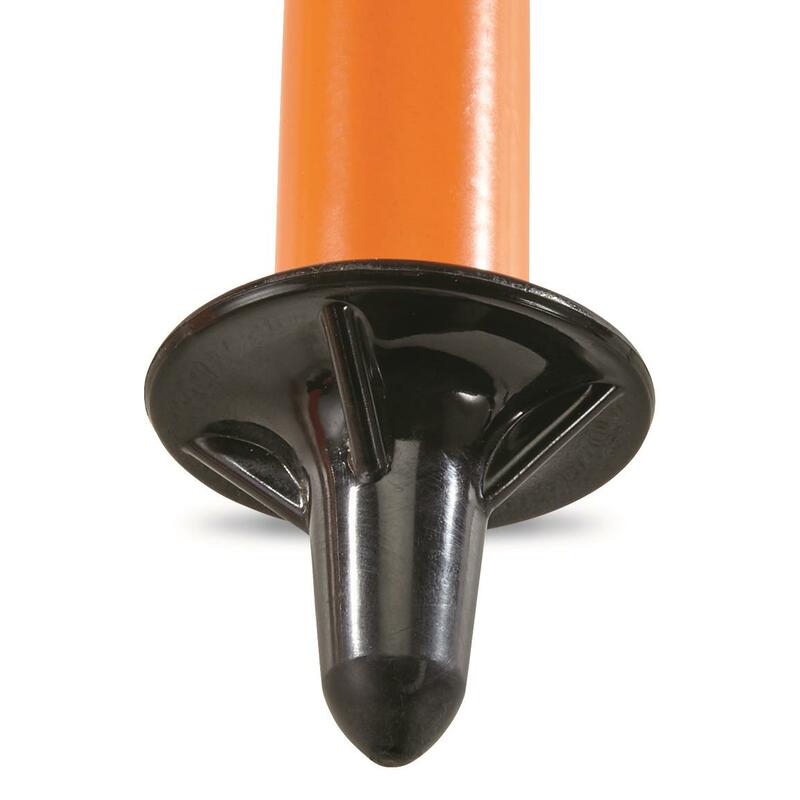 81.5"h.
Pole Set weighs 2.4 lbs. Stakes and guy lines weigh .4 lbs. 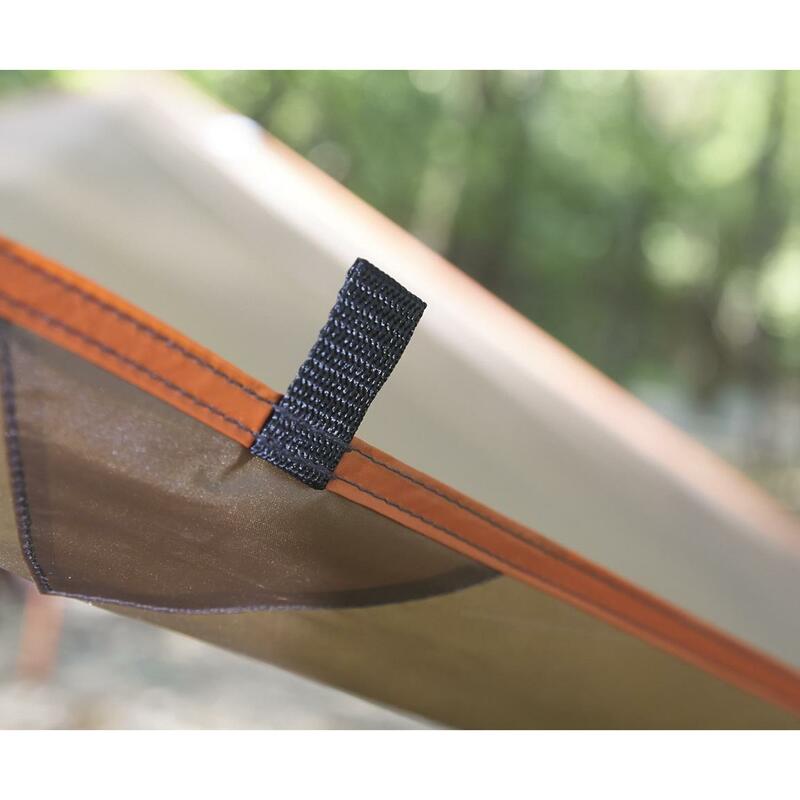 Tarp alone weighs 2.25 lbs. Min. Height of Tarp Poles: 61.8"
Max. 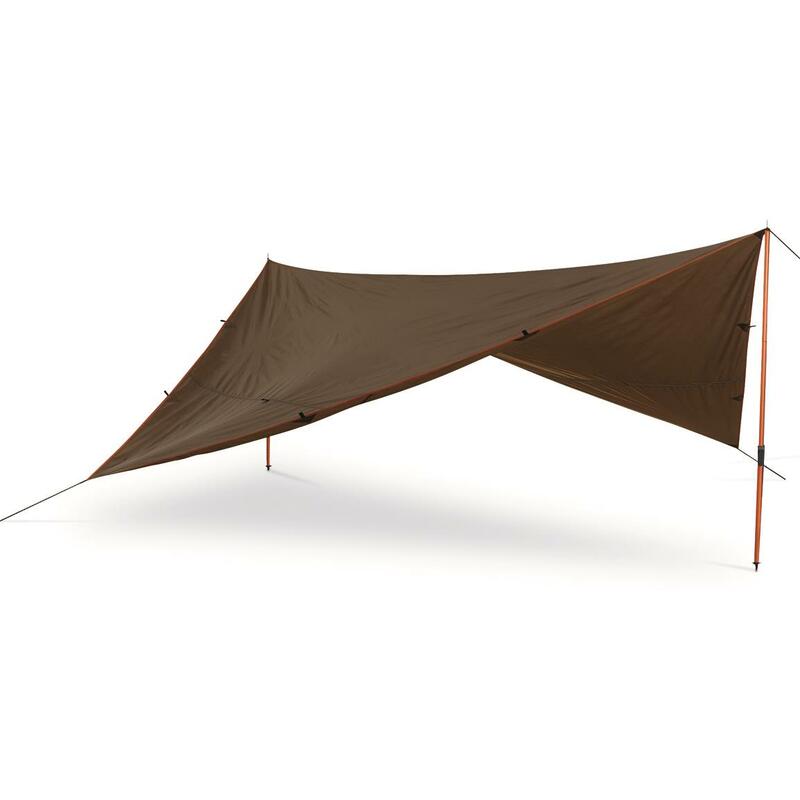 Height of Tarp Poles: 81.5"
Packed Size: 6.7" x 6.7" x 25.6"